Single-crystal, silicon carbide (SiC) wafers surpass silicon in terms of voltage resistance and heat resistance, and show promise for use in power semiconductor device applications. 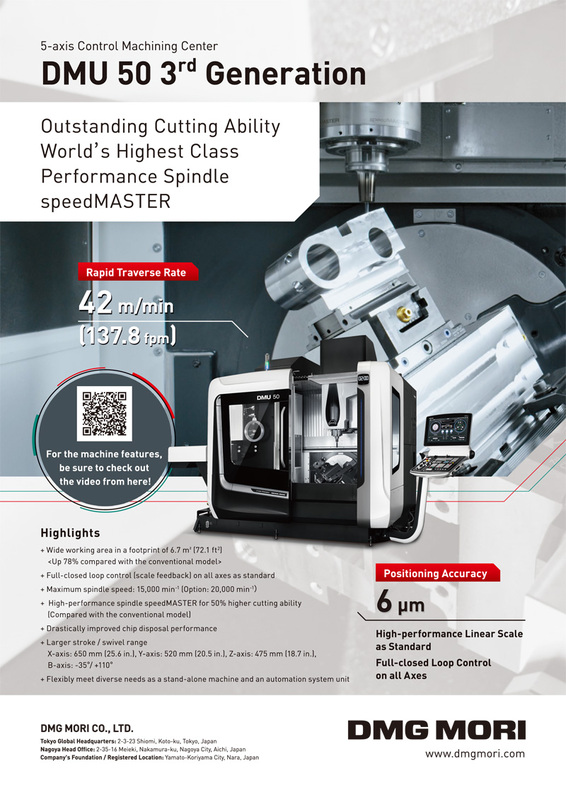 The aim of this research is to develop a complex machining technology for SiC, which is known to be difficult to process owing to its high hardness. This paper proposes a complex machining method based on converting SiC into a material with a relatively low hardness, and then polishing it using abrasive particles with a higher hardness. The proposed polishing method uses either a photodissociation or an electrochemical technique to reduce the hardness of SiC. The effectiveness of the combined technique is experimentally demonstrated. In addition, a method is proposed for monitoring the processing state by measuring the electric current. T. Kurita, K. Miyake, K. Kawata, K. Ashida, and T. Kato, “Development of New Complex Machining Technology for Single Crystal Silicon Carbide Polishing,” Int. J. Automation Technol., Vol.10, No.5, pp. 786-793, 2016. K. Arai, “R&D of SiC semiconductor power device and strategy towerds their practical utilizatiom,” Synthesiology, Vol.4, pp. 259-270, 2010 (in Japanese). Akita Co., Ltd., “Development single crystal SiC mold for high melting point glass lens forming, Strategic Foundational Technology Improvement Support Operation report,” pp. 6-9, 2010 (in Japanese). T. Kato et al., “High throughput SiC wafer polishing with good surface morphology,” Materials Science Forum, Vols.556-557, pp. 753-756, 2007. T. Kurita, K. Komatsuzaki, and M. Hattori, “Advanced material processing with nano- and femto-second pulsed laser,” Int. J. of Machine tools & Manufacture, Vol.48, pp. 220-227, 2008. N. Kasashima and T. Kurita, “Laser and electrochemical complex machining of micro-stent with on-machine three-dimensional measurement,” Optics and Lasers in Engineering, Vol.50, pp. 354–358, 2012. T. Kurita, S. Miyazawa, and K. Ashida, “Development of Laser/Imprint complex machining technology for glass forming,” The autumn meeting of the Japan Society for Precision Engineering, pp. 901-902, Fukuoka 2012 (in Japanese). Y. Okazaki and C. Endo, “Development of a High-Precision Integrated Platform Comprising Mechanical – and Laser Micro Machining,” Proc. of 2008 Int. Symposium on Flexible Automation, USA, Jun. 2008. S. Sado and A. Iwata, “Planning and Evaluation of Machinery Manufacturing Processes with Respect to Environmental Burden,” Int. J. of Environmentally Conscious Design and Manufacturing, Vol.4, pp. 83-89, 1995. S. Sado, Y. Ishikawa, T. Kitahara, and T. Suto, “Microfactories: an Energy Saving Manufacturing System,” Proc. of Int. Workshop on Environmentally Conscious Manufacturing (ICEM-97), pp. 48-53, 1997. T. Kurita, and M. Hattori, “A study of EDM and ECM/ECM-lapping Complex Machining Technology,” Int. J. of Machine Tools & Manufacture, Vol.46 pp. 1804-1810, 2006. T. Kurita and M. Hattori, “Development of New-Concept Desk Top Size Machine Tool,” Int. J. of Machine Tools & Manufacture, Vol.45, pp. 959-965, 2005. T. Kurita et al., “Mechanical/Electrochemical Complex Machining Method for Efficient,” Accurate, and Environmentally Benign Process, Int J. of Machine Tools & Manufacture, Vol.48, pp. 1599-1604, 2008. T. Kurita, S. Watanabe, and M. Hattori, “Development of hybrid micro machine tool,” Int. Symposium on Environmentally Conscious Design and Inverse Manufacturing, Japan, Dec., 2001. Y. Hibi, “Excimer laser assisted silicon based Ceramics removal processing in water,” Mechanical engineering laboratory report, Vol.177, pp. 33-42, 1998 (in Japanese). Shin-Etsu Quartz Products Co., Ltd., “Technological guide for quartz glass part1,” pp. 2-13, 2011 (in Japanese). KYOCERA Corporation, “Characterristics of Kyosera Technical Ceramics,” pp. 4-7, 2012 (in Japanese). R. Wash, “Bond dissociation energy values in silicon containing compounds and some of their implications,” Scc. Chem. Res., Vol.14, p. 246, 1981. T. Kurita, K. Chikamori, S. Kubota, and M. Hattori, “A study of three-dimensional shape machining with an ECmM system,” Int. J. of Machine Tools & Manufacture, Vol.46, pp. 1311-1318, 2006. K. Hotta, K. Kawata, K. Hirose, Y. Tanaka, and O. Eryu, “High-Quality Surface Finishing of SiC Monocrystalline Wafers by Using Colloidal Silica,” JSPE Spring Meeting, CD-ROM, 2007 (in Japanese). P. J. Liew, K. Shimada, M. Mizutani, J. Yan, and T. Kuriyagawa, “Fabrication of Microstructures on RB-SiC by Ultrasonic Cavitation Assisted Micro-Electrical Discharge Machining,” Int. J. of Automation Technology, Vol.7, No.6, 2013.